What a way to tank! 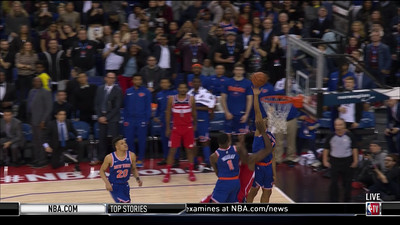 Fans in London just watched one of the weirdest endings to a basketball game possible as the Wizards beat the Knicks on a GOALTEND as the clock struck zero. Bradley Beal found a cutting Thomas Bryant who tried to lay the ball in until Allonzo Trier was caught for the poorly-timed block attempt. Oops! File this image away for when the Knicks get their inevitable lottery pick in this year’s draft. Trier may have swatted New York that much closer to Zion Williamson. And Wizards fans were winners too! Not only does their team — which owner Ted Leonsis says isn’t and will never be tanking — get the win, but they get half off Papa Johns pizza. 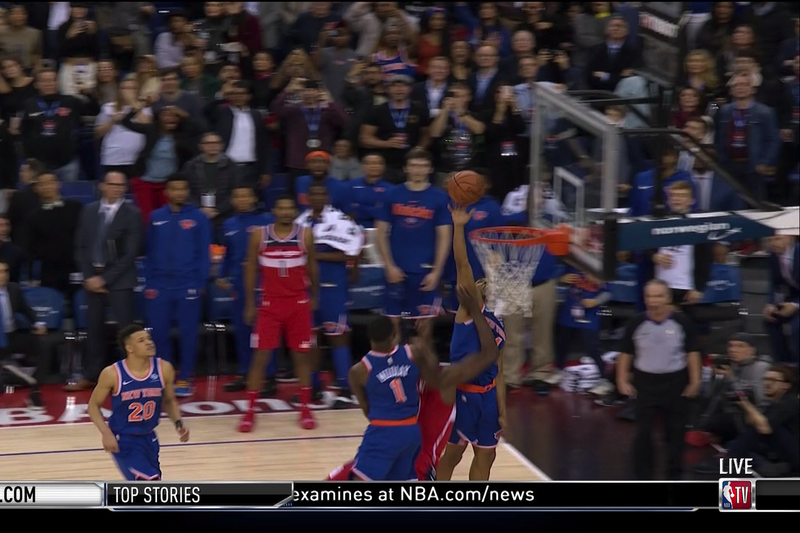 That deal only came if Washington scored 100 or more points, and the goaltend made the final score: Wizards 101, Knicks 100. WIZARDS WIN! They scored more than 100 points (101 lol) so you get half off @PapaJohns_DMV tomorrow.